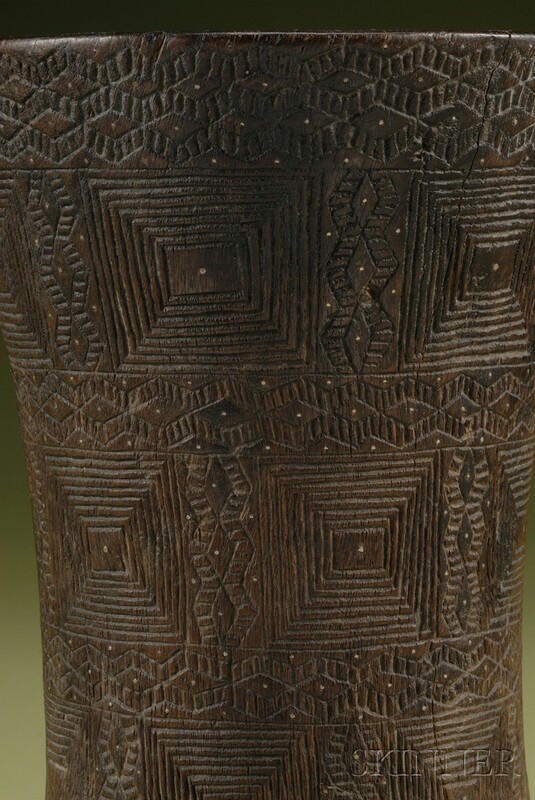 Large Pre-Columbian Carved Wood Kero with Silver Inlay, Peru, Inca, c. 1500 A.D., the waisted form with three bands of concentric squares separated with incised zigzag design, with silver spot detail, (crack with period repair), patina of use, ht. 9 1/2, dia. 7 1/2 in.